Anywhere in the country, be it the southernmost town or be it West Brentwood, of Suffolk County, Long Island, New York City, having to deal with pests is inevitable. Therefore, being near the assistance of a pest control company is a must as well. This is where Suffolk County Pest Control comes in. Offering services to all area codes of Suffolk County, our qualified team of skilled and experienced exterminators is unmatched in the entire county. In addition to providing control of bed bugs, ants, moths, mosquitoes, cockroaches, and spiders, we also have the option for rodent control, courtesy of pests such as rats and mice. Why do you need our help? Allow us to show you with a simple and very brief example. While only some spiders contain venom, there may be possible only a few people living on the face of this Earth who does not get scared of spiders. 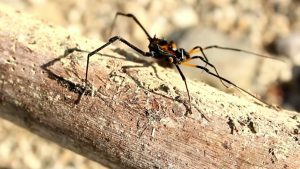 Some of these spiders are dangerous, and some are not, but it takes a specialist to identify the type of species that are currently invading your house. The most common type of invader is the American house spider that is usually brown or gray. These spiders only need the opening of the smallest crack in the wall to be granted entry into the house. This is to be noted that spiders are usually attracted to households that contain a considerable number of insects since that is what they feed on. If you are a homeowner who is suspecting a spider infestation, there is a good chance that you already have a pest problem. Another way of guaranteeing whether you have a spider problem is by the presence of cobwebs inside the house. Empty cobwebs are a clear signal that you need to contact a pest control company, preferably Suffolk County Pest Control, as soon as possible. You may ask: What if I decided to handle the infestation on my own? We advise you not to attempt to deal with the situation yourself. 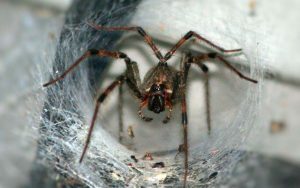 Female spiders, especially the ones which are American house spiders, are extremely fast breeders. They live up to only a year but can mate and produce over 4000 eggs in their lifetimes. This means that even if you may notice only about one or two in the house, there may be many more spiders in the house, not to mention the eggs that are getting ready to develop into baby spiders. This is why you need the help of an efficient exterminating service. 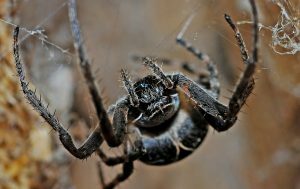 The spider control specialists of Suffolk County Pest Control have been trained and are fully prepared to search through the entire house in search of these nesting areas and developing eggs. 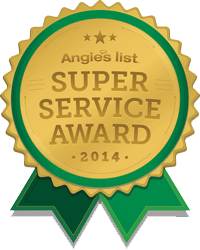 Pest Control West Brentwood: Call Us Today! Even if you are not a resident of West Brentwood but wish to procure our services, you may click on our website and search through the service areas we are providing for at the moment. If you are resident living in a site listed under the region of Suffolk County, you may rest assured that our exterminators are just a call away. Our hotline service is open 24/7 to all our clients, old or potential, with operators ready on the line to answer any query anyone may have about any pest related issue. Remember, your house is your home, a haven you wish to return to after all the hustle bustle of your daily life. Sometimes, even if you may not be suspecting any pest activity, it is always a good idea to get your house checked for a pest infestation. Better safe than sorry!